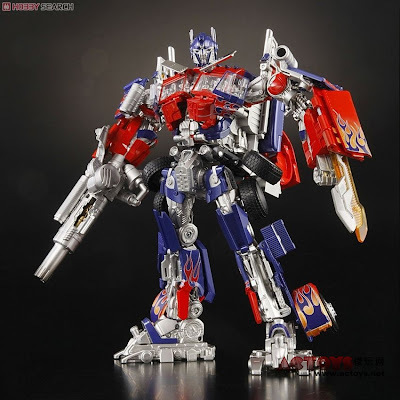 Just got a photo from actoys.com, the first prototype photo of Buster Optimus Prime Leader Class. Just like all Takara Tomy products this version has a high quality paint job that is obviously much superior than the Hasbro version. And off course this Buster Optimus Prime has an opened mouth piece and a big canon on right arm as modifications. Surely fans would be excited to get a hold on this one. 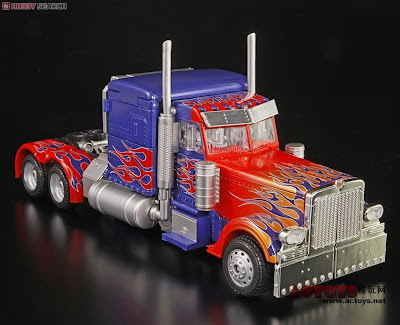 For me, maybe I'll just stick with my regular Optimus prime Leader Class for now and wait for a better sale for this one which is I think a couple of years from now hahahaha.